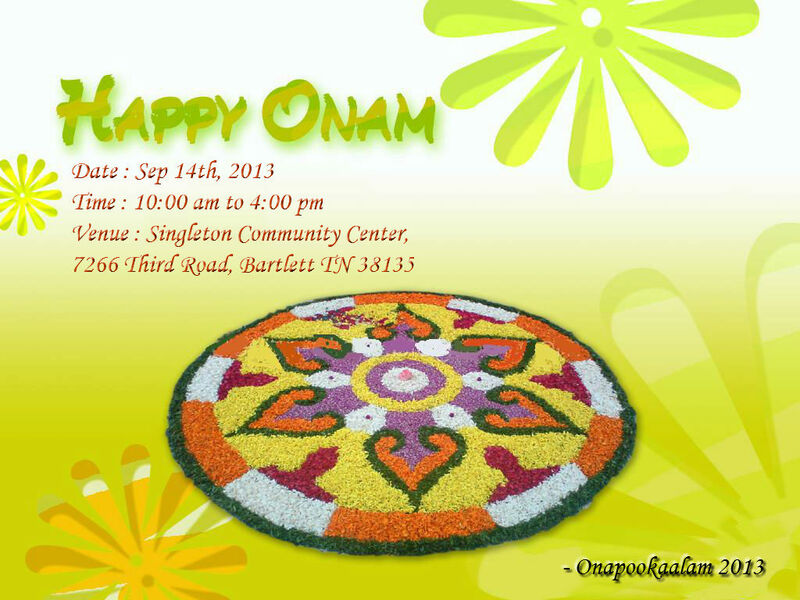 Memphis Malayalees will be celebrating 2013 Onam at Singleton Community Center on Sep 14th, Saturday. The program will start at 10am and conclude by 4pm. A variety of cultural programs and a sumptuous sadya awaits everyone. A fun filled game session will follow adding more joy to the celebration.